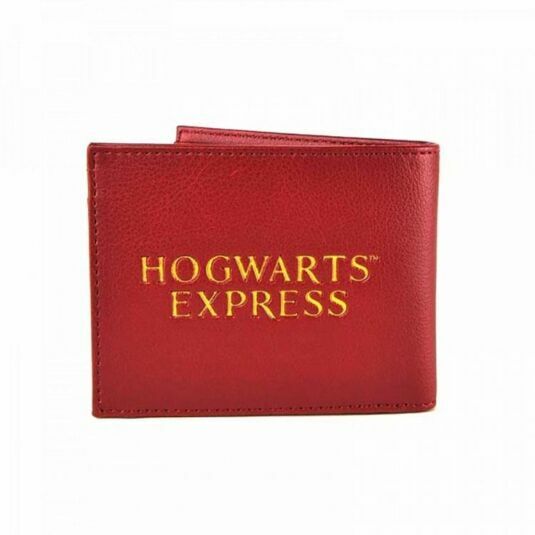 If you’re travelling on the Hogwarts Express – or anywhere else – you will need to keep your cards and cash safe! This beautifully made faux leather wallet is perfect for keeping your cash, papers and secrets from prying eyes (or you know who)! The wallet is made from claret red faux leather with a realistic grain. On the front is the Platform 9¾ emblem, signifying the secret entrance at Kings Cross, starting point for all budding witches and wizards. 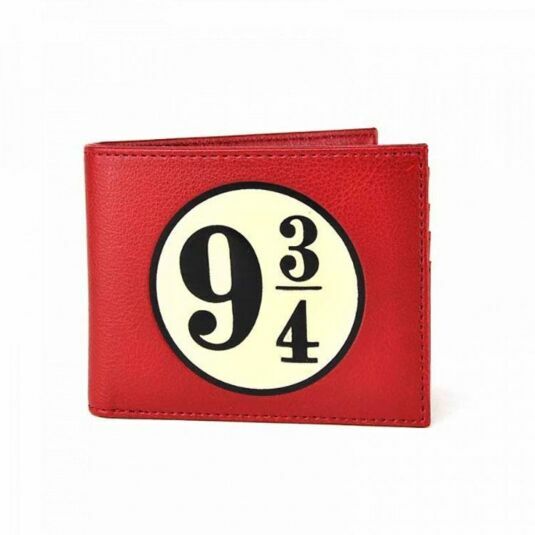 The platform emblem is embossed into the wallet front and the phrase: HOGWARTS EXPRESS is embossed into the back, in yellow capital letters. 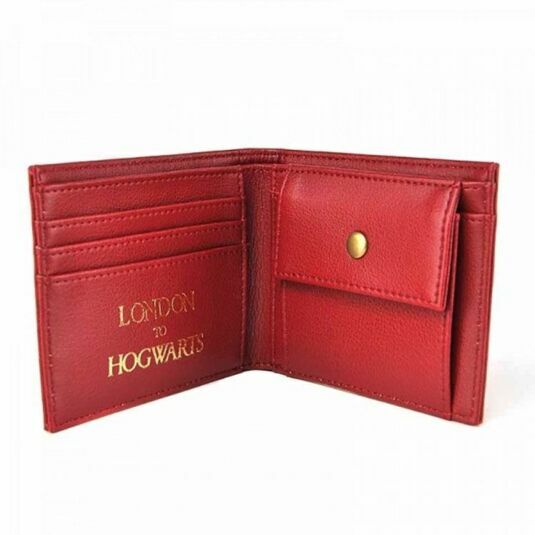 Inside, the wallet has a long compartment for notes, and on the left, three spaces for cards; the front one printed with the phrase: LONDON TO HOGWARTS in gold lettering. On the right, a small change section is fastened with a press stud, behind which is a secret compartment, for spells, maps and other mysterious papers. The long section and the change compartment are both lined with silky fabric in cream, with the Harry Potter logo in red as a pattern. 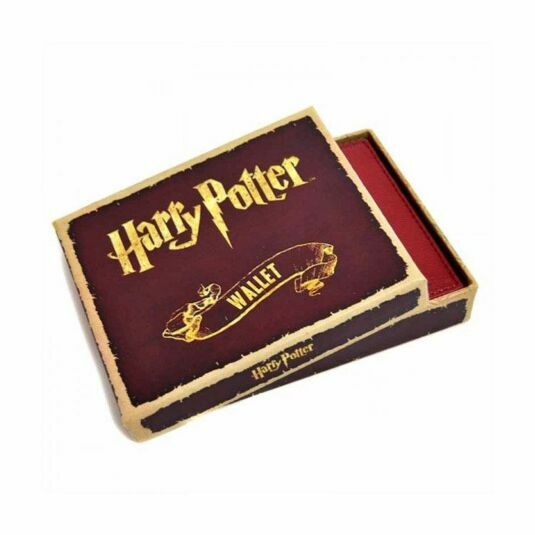 Presented in a matching gift box, this wallet is the perfect gift for all young muggles and students of the dark arts! Box measurements: 12.5cm wide x 10.5cm deep x 3cm high.